Holiday experience on two wheels! Glide silently over the asphalt - an incredible experience! Effortlessly "climb" hills and slopes. Experience the beautiful landscape of the picturesque Gosau Valley and the most beautiful corners of Gosau effortlessly. In just a few minutes you will discover sensations "between skiing and a flying carpet!" 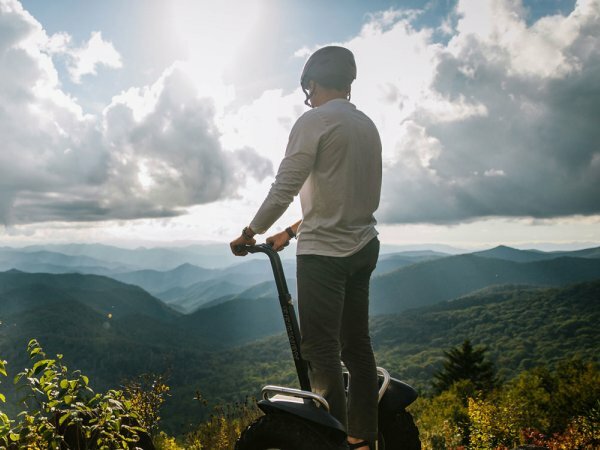 Whether with the whole family, colleagues, as a couple, or with friends - a tour on a Segway through the contemplative Gosau Valley is a moment of pure emotion! A truly indescribable feeling! The "guided tours" to the most beautiful places in Gosau usually take place in any weather! (There is no such thing as bad weather ... only bad clothing) Unless the weather actually makes it impossible. So register now and enjoy the full holiday fun.